Manchester Airports Group (MAG), the UK’s largest airport group, has entered a bid to operate Sofia Airport in Bulgaria for the next 35 years. 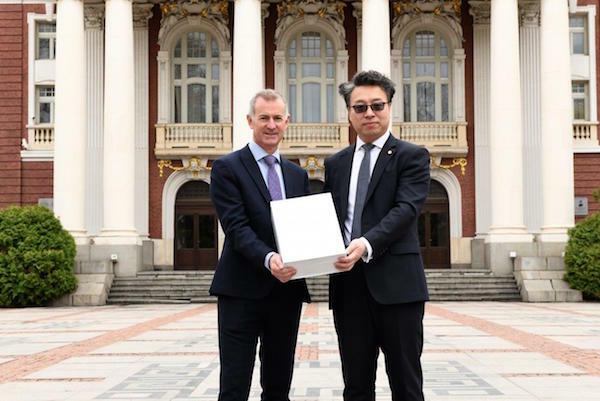 Along with its consortium partner – Chinese construction giant BCEG – MAG submitted its formal bid to the Transport Ministry in Sofia on April 11. MAG already operates three major airports in the UK at Manchester, London Stansted and East Midlands and provides services to six airports in the USA. It is currently investing over £1.5bn (US$2bn) in its airports in the UK, while BCEG is currently building Beijing Daxing International Airport, China. The Anglo-Chinese consortium’s submission to the Bulgarian government includes significant plans for the redevelopment and reconfiguration of existing terminals at the airport, as well as designs for a new Terminal 3 facility. Andrew Harrison, CEO, airport services, MAG, said, “It is an exciting moment for us, as we truly believe that Sofia Airport has enormous potential to deliver further connectivity for Sofia. This in turn will help stimulate additional economic growth and tourism throughout Bulgaria. MAG’s ownership structure comprises a blend of both Manchester city council and the Greater Manchester local authorities, as well as long-term private investors (IFM Investors). MAG’s partner, Chinese state-owned BCEG, employs over 20,000 people internationally to deliver its projects and services across 27 countries. The partnership between MAG and BCEG is long-standing, having been established in 2013 to develop Airport City Manchester.